Scars and Marks: Abdullah has a scar on the right side of his lower lip. Remarks: Abdullah fled Nairobi, Kenya on August 6, 1998 and went to Karachi, Pakistan. He is believed to currently be in Afghanistan. He may wear a mustache. 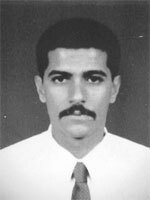 The Rewards For Justice Program, United States Department of State, is offering a reward of up to $25 million for information leading directly to the apprehension or conviction of Abdullah Ahmed Abdullah.